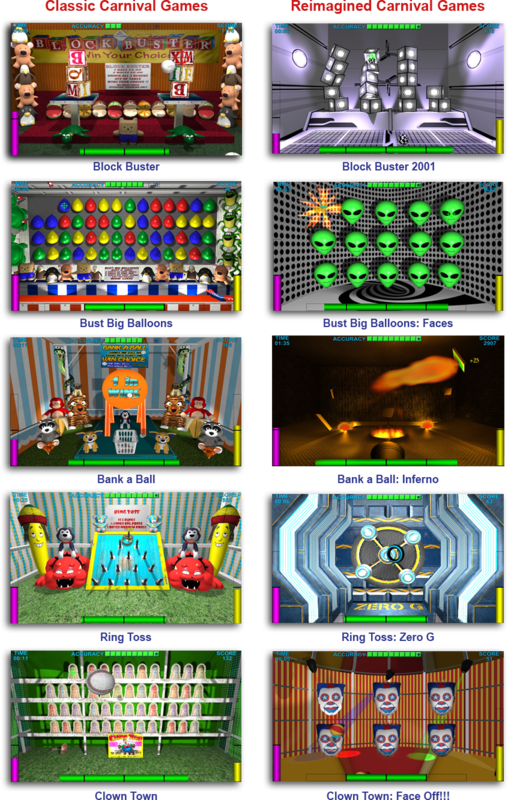 Zukor's Carnival is not a single game, but rather ten games in one. The games are based upon the simple, classic games featured in carnivals, state fairs and amusement parks. Since carnival games are familiar across all age groups and cultures, Zukor’s Carnival has a broad appeal that makes it useful for all ages of men, women and children around the world. 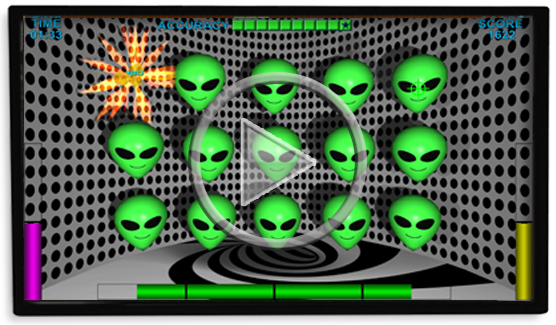 Zukor's Carnival games each have a simple gameplay dynamic, but implemented with stunning graphics and subtle game sounds, plus a broad range of clinician customizable options relevant for neuro and biofeedback training. Its scoring system includes optional point-based game unlocking whereby a patient can not proceed to the next game until a predefined number of points are reached. Zukor's Carnival’s fun, high-quality, games are perfect for all types of feedback training and will be enjoyed by all your patients. “Zukor’s Carnival offers the variety of 10 high-quality games in one universally understood game theme, plus the extensive clinical features of our other feedback games”. Free Installation Support! Free Training! Free Updates!